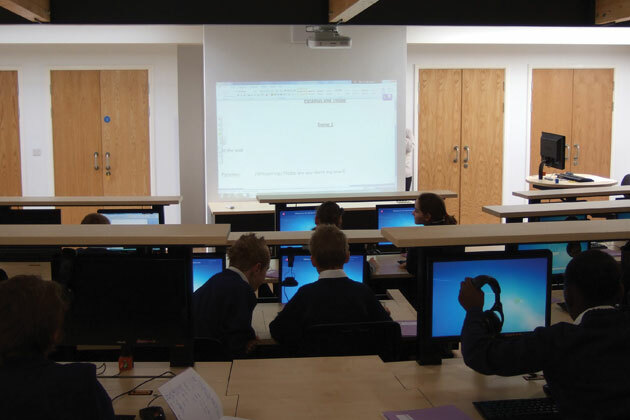 The new ICT Suite extension to Wentworth Primary School is now complete and ready for the children to start using it. 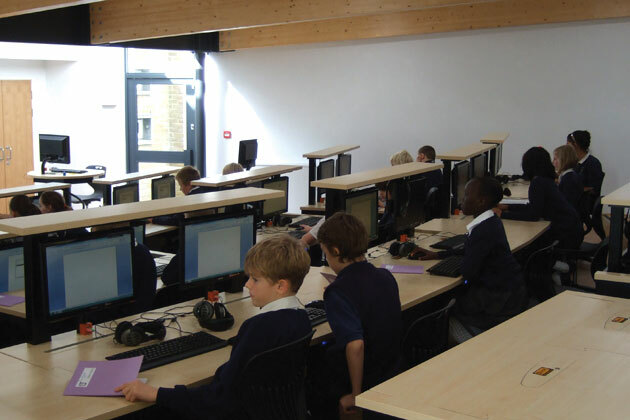 Tuke Manton Architects were commissioned by Wentworth Primary School to develop the new ICT suite following the successful completion of the new conference suite in 2007. Getting as much indirect natural light as possible into the space, but without compromising the use or getting glare on to the monitors. The specific requirements of the teacher and pupils to be as close together as possible, with the pupils all facing in the direction of the teacher. The exterior shape fans out both in width as well as height. The end wall is curved with the same centre as the seating inside, but it is broken up into 4 parts, all slightly shifted away from each other. The connections between these walls are glazed, to allow natural light to reflect inside along the white painted, curved walls. The space is fitted with numerous sun pipes to ensure the space is flooded with daylight. The dominant features inside the space are 5 structural curved glulam beams. The columns are left exposed and fitted to a large steel beam. This creates an interesting contrast between the steel and wood against the more refined interior finishes. 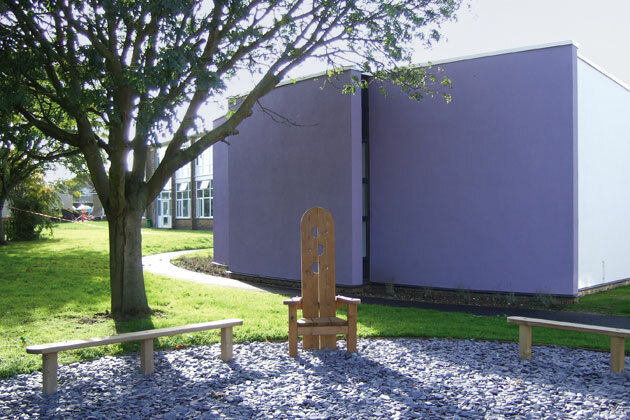 The external walls are plastered blockwork that will store heat in the winter and keep the space cool in the summer. 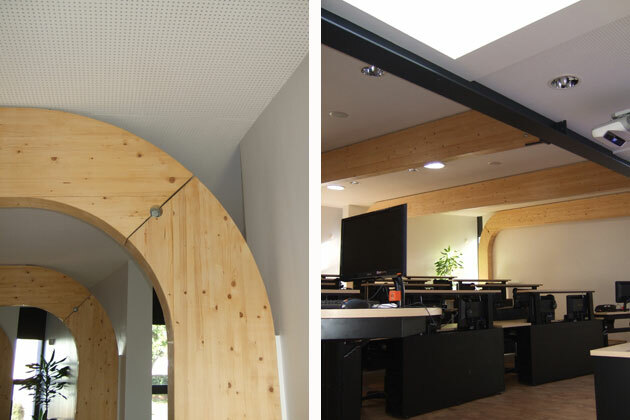 To ensure good acoustics, the ceiling has been fitted with an acoustic ceiling that minimises the reverberation time within the space and the flooring is an acoustic cork composite. The extension can be run as a separate unit, making it possible to let the space out to the local community.